Insult to injury, salt to wounds, you’ve heard it all. Even though most forms of sports are gentlemen’s games where one congratulates the losing side and doesn’t often goad, sometimes the cheekiness seeps through and moments of hilarity ensure. One such instance awaited an Arsenal player on Sunday. Life was horrible for the Gunners when they managed to waste a one-goal advantage against Newcastle and somehow ended the game 2-1. 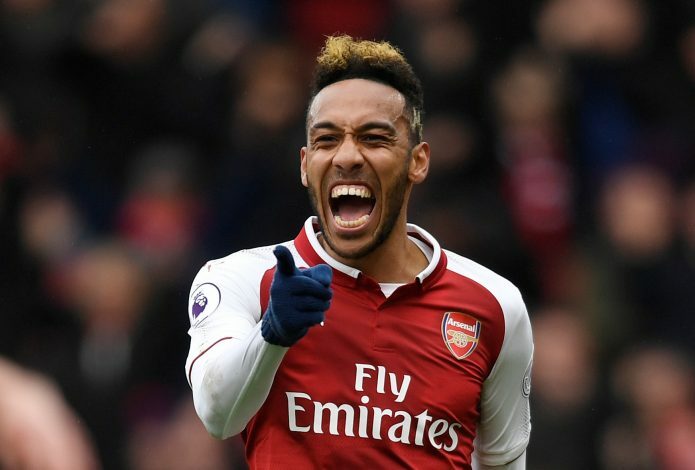 Their short-lived early joy came in the form of Alex Lacazette’s 14th-minute goal, which was setup quite well by Pierre-Emerick Aubameyang. Unfortunately for the duo, Matt Ritchie and Ayoze Perez were able to bring back the game, and the home side had much to cheer for after the full-time whistle. Ritchie would have been incredibly happy with himself after scoring the winner, and those high spirits certainly were in effect when he did the following to an unsuspecting Aubameyang. What a move, perhaps surpassing even his well-found goal itself. One certainly has to feel bad for the Arsenal striker, who wouldn’t have expected Ritchie to do what he did. At the end of the day, it is just something to promote cheeky banter, and while the Gabonese striker won’t see the humor of it right now, he will shortly. As for Arsenal’s long-term woes and their seeming inability to win away games, Wenger had this to say: “It’s the story of the season. 70 percent of the ball, 2-1 up. You wonder how we lose the game. We concede two goals from nowhere. Bad luck for Arsenal, whereas Matt Ritchie certainly looks quite pleased with himself.